A pair of friends who were arrested after a street brawl will be sentenced by magistrates next month. 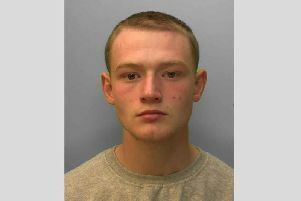 This morning (January 15), Worthing Magistrates’ Court heard how Gary Dean, 32, of The Strand, Goring, and Daniel Thyer, 30, of Coneyhurst Road, Billingshurst, fought outside Dean’s home on December 29. A neighbour described hearing shouting at around 8.30am and Dean ‘waving a knife around’. The pair then rolled on the floor, having a ‘scrap’, the neighbour said. Dean pleaded guilty to possessing a knife in public and using threatening words or behaviour. Thyer pleaded guilty to common assault and possessing an offensive weapon in public. Thyer’s defence counsel, Jane Lloyd said her client had been provoked by Dean screaming insults about his father, who had cancer. He had tried to walk away, she said, but was drawn back by Dean's comments. She also said a pair of knuckledusters never left Thyer’s pocket, after Dean himself had convinced him to arm himself with them. Dean’s defence, Mark Kessler, contested the ‘public’ element of his charge, saying he was brandishing the knife near to his home. The court ordered both to not make any contact with each other prior to the February sentencing.